Protect and beautify your home with a maintenance-free, color-coordinated rain carrying system from United States Seamless. Our system is designed to work as a complete protection and beautification package. Our color-perfect finish coordinates with our soffit, fascia and trim accessories, allowing you to complement, match or contrast the accents of your home, making it a one-of-a-kind work of art. The wonders of nature are truly amazing, but they can also be hard on your home. Eaves, overhangs, porch ceilings and fascia — often the least noticed areas of your home's exterior — can blister, peel or rot. Let United States Seamless add the finishing touch and make your home virtually maintenance-free. 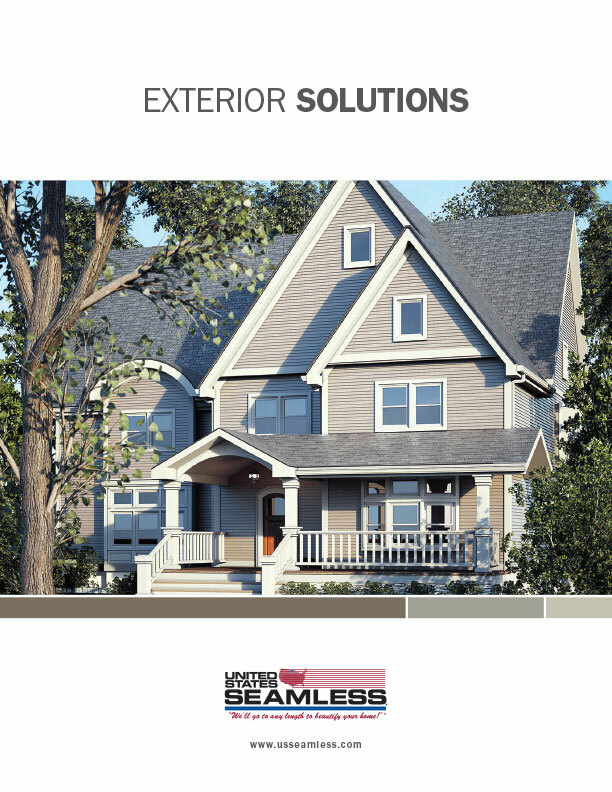 With United States Seamless soffit and fascia you will eliminate costly painting of those hard-to-reach places like eaves and overhangs while preserving the integrity of your home's structure. We take a “whole-system” design approach to assure product compatibility and performance along with a perfect fit. Available in several exterior colors. Steel fascia, aluminum soffit, aluminum rain carrying systems and other accessories. Carries a limited lifetime warranty. 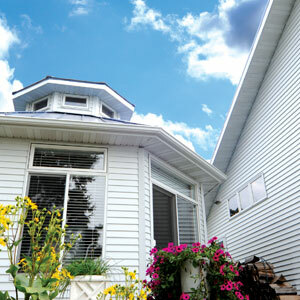 Provide proper ventilation that controls attic temperature and air flow. Reduce expensive annual maintenance costs. Control moisture and rotting problems. Add curb appeal, longevity and increase the value of your property. United States Seamless affiliates us our innovative 3x3 downspout referred to as the Superspout™. This residential 3-inch square downspout and elbow reduces clogging and improves water flow over conventional downspouts. In addition to capacity increases, the Superspout has great curb appeal as it maintains a streamlined look and is stronger than conventional downspouts. Maximize your home's draining potential without the bulky look of ugly commercial downspouts by selecting the Superspout. United States Seamless rain carrying systems are designed to effectively channel water off your roof and away from your home. Like our soffit and fascia, our rain carrying systems are available in a full palette of colors and styles, allowing you to create a beautiful finishing touch. United States Seamless rain carrying system include seamless gutters, elbows, downspouts, miters and other attractive accessories. 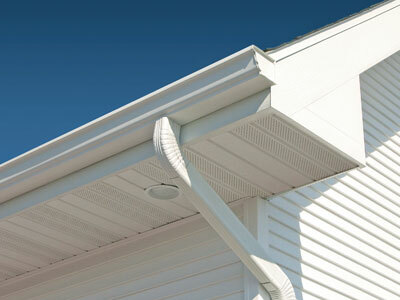 Like our siding, our seamless gutters are custom manufactured on-site by trained and certified professionals.